OLD PARKED CARS. 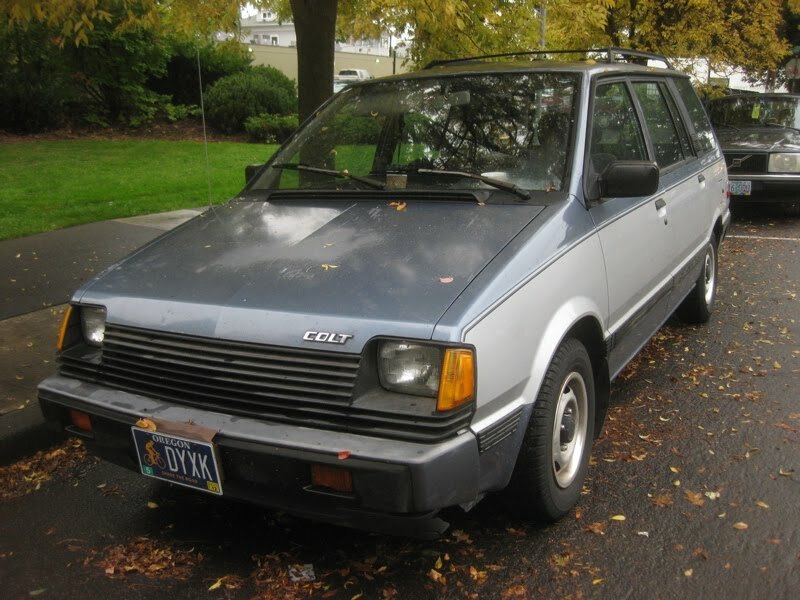 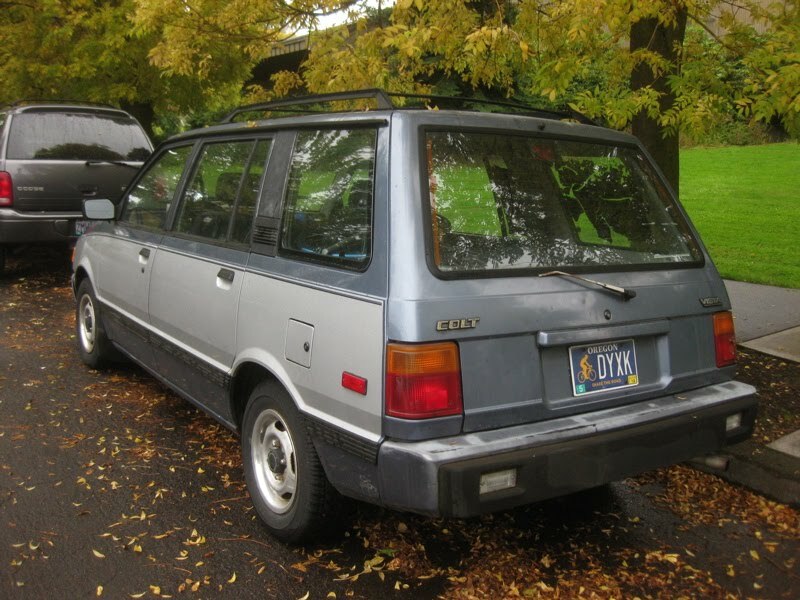 : 1987 Imported for Plymouth Colt Vista Wagon. 1987 Imported for Plymouth Colt Vista Wagon. 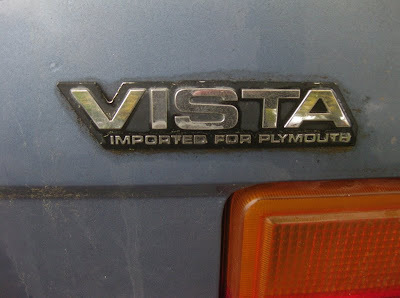 Haha, in the thumbnail for the "Imported For Plymouth" badge it looks like it says "Imported For Plymouts"
I had one of those new, same color and one of the most useful cars I've had. Loads of room, comfortable and economical. 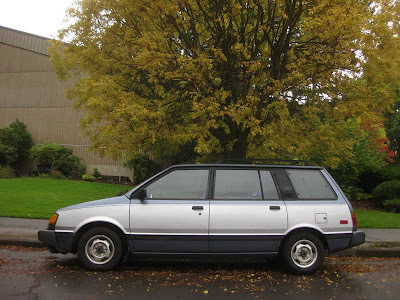 I'd have one again. Same car anyway, second generation Colt.